It is nice to have a chance to get into my scrapbook room and get something accomplished. 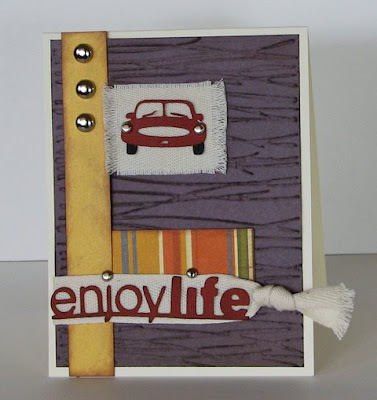 Here is the card that I have created this week based upon Laura's sketch 23 at 2sketches4you. I had the idea for this card in my head for the last few days, but I finally snuck in a few minutes that my kids were taking naps all at the same time. Thanks for looking and I hope you are having a wonderful day!! How cute Amy.. I love it. Great card Amy! Love it! TFS!! This is awesome! I love your work Amy!! Great card! 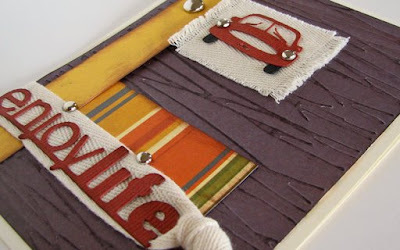 Love the masculine touch of this card! It looks fab! Love this card! The colors and texture are so great!